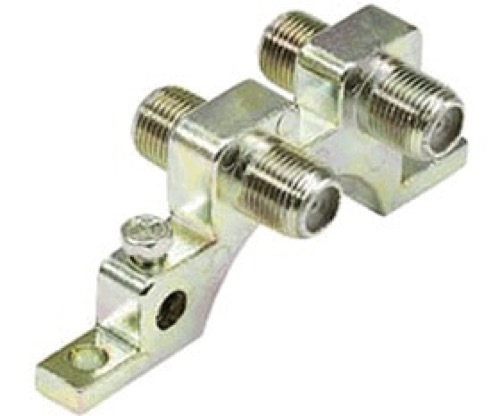 This ground block is used to ground two coax cables from a satellite dish or outdoor antenna. Used to ground and help protect fragile electronics such as satellite receivers and televisions from damaging lightning strikes and power surges. This unit has a one year lifetime warranty.